Most bucket lists are filled with impressive achievements, like running a marathons or skydiving. 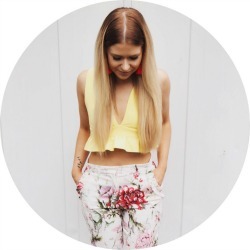 Mine are much more basic – I basically just want to see The Lion King musical and stay in a hotel room with a freestanding copper bath – but nevertheless it’s always great when you get to tick one off (with a scented gel pen, natch). 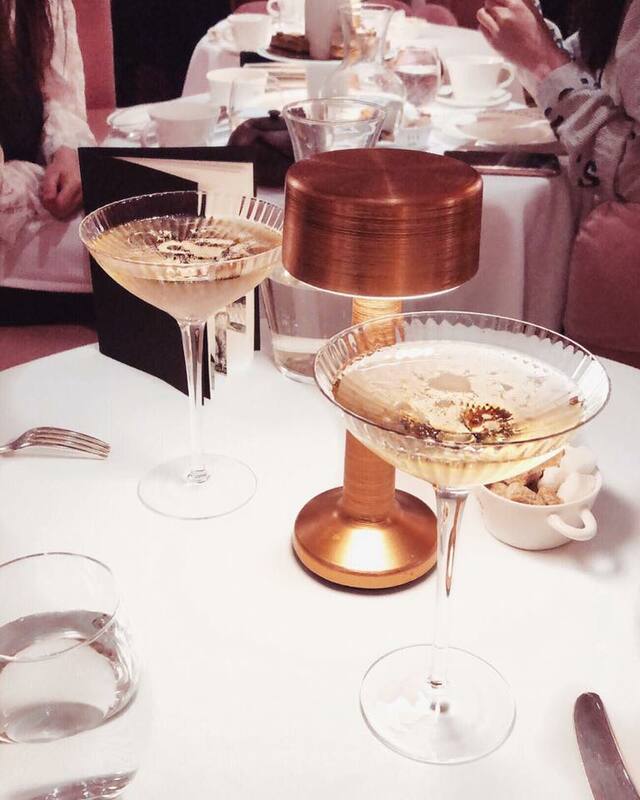 Last month, I got to do just that by finally going for afternoon tea at Sketch, London. If you haven’t heard of Sketch then er, do you even have a phone? 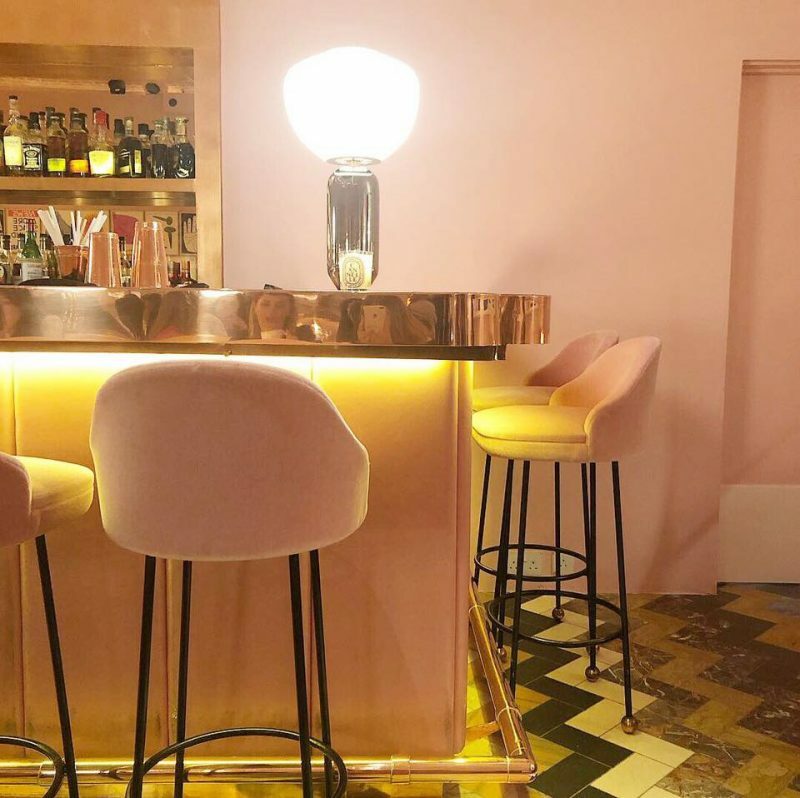 It’s one of the most Instagrammed places in London, with its legendary pink Gallery Room being the stuff of female millennial dreams. 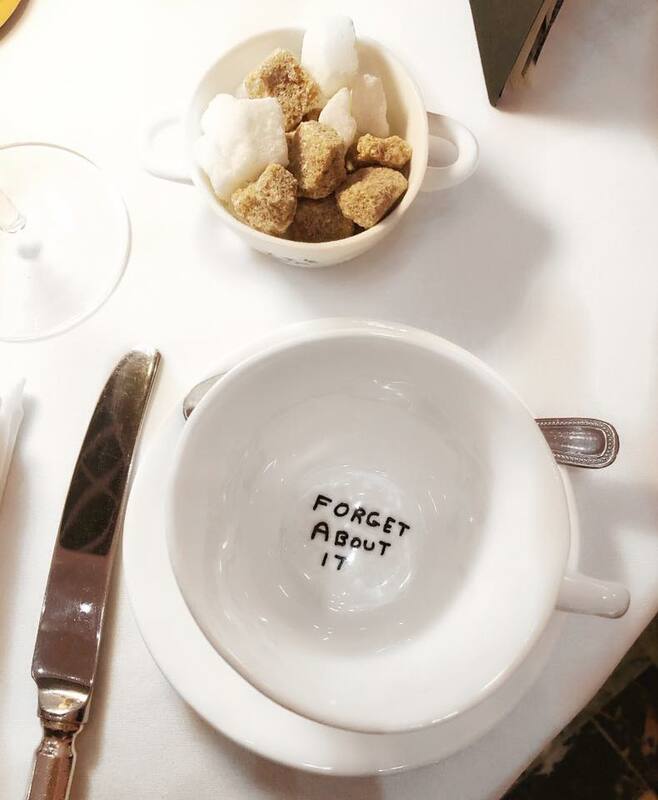 My friend Jade and I booked in for afternoon tea after I kindly got a gift voucher from my old work pals, and I’m glad to report that the experience didn’t disappoint. 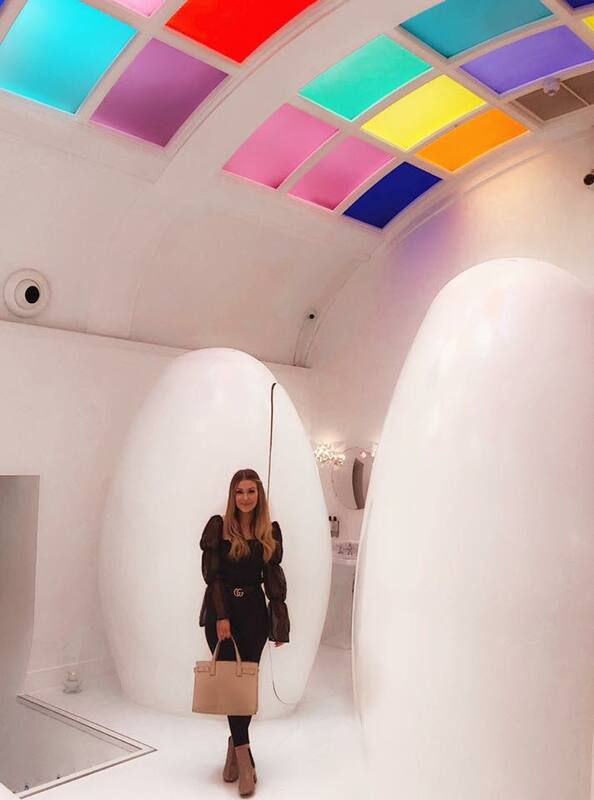 Having stalked people’s Sketch photos for a few years, I was familiar with quite a lot of what Sketch had to offer: the aforementioned Gallery Room, woodland-themed Glade room and the famous egg toilets. However, what I wasn’t prepared for was what a completely insane experience the whole thing would be. For one thing, I’m amazed that the other reviews I’ve read have never really mentioned the exceptional – but also exceptionally strange – service. During our afternoon tea at Sketch, we were greeted, served and looked after by no less than about 14 different staff members. 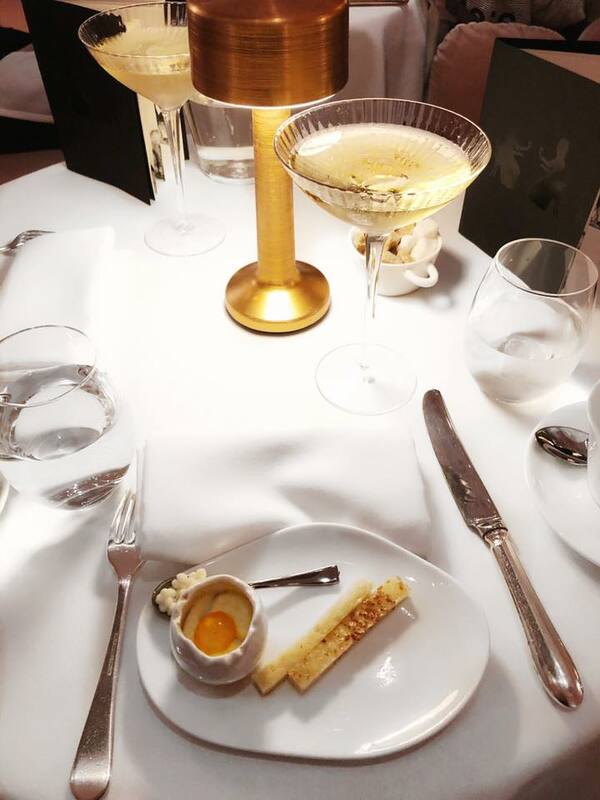 From the six foot tall pink-suited man whose job it was solely to serve the caviar dishes, to the waiter who offered us champagne in an accent SO FRENCH I thought it must be a pisstake, everyone has a quirky little job of their own. They’re all extraordinarily polite and calm, and it all feels a little bit Black Mirror – but in the best way. The food itself was gorgeous, and actually surpassed what I expected. Jade and I went for the vegetarian afternoon tea, but nothing was missed out at all. Our ‘caviar’ course was a special cauliflower alternative, served with some kind of cream cheese faux egg (I may have been a bit distracted by all of the madness to really listen to the menu explanations properly, but basically it was all delicious) and it didn’t feel like anything was missing from the sandwiches and desserts either. After the sandwiches came the scones, and after this there was the option to have another slice of cake from the tea trolley. 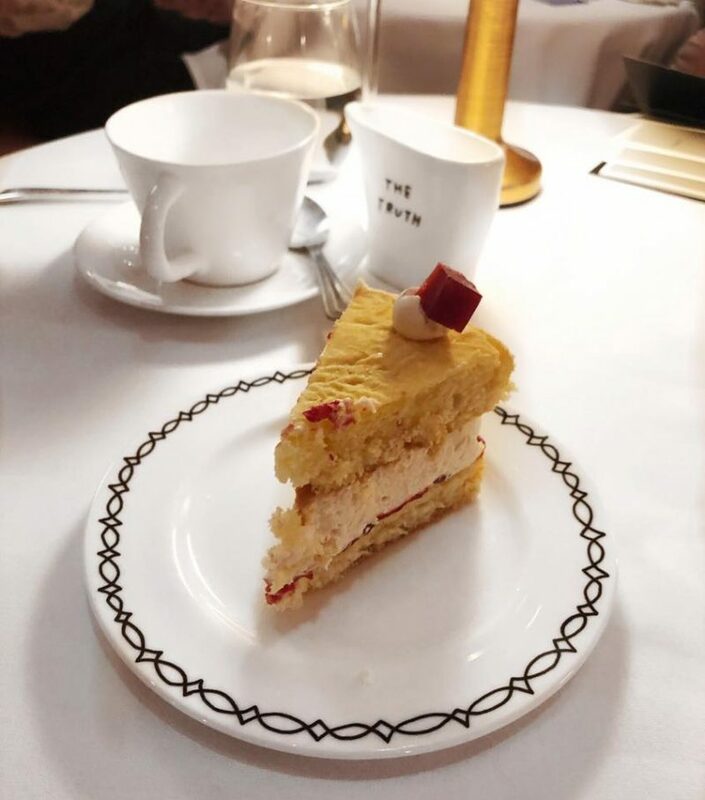 We opted to share a slice of Victoria sponge, but could hardly finish it as we were so full. 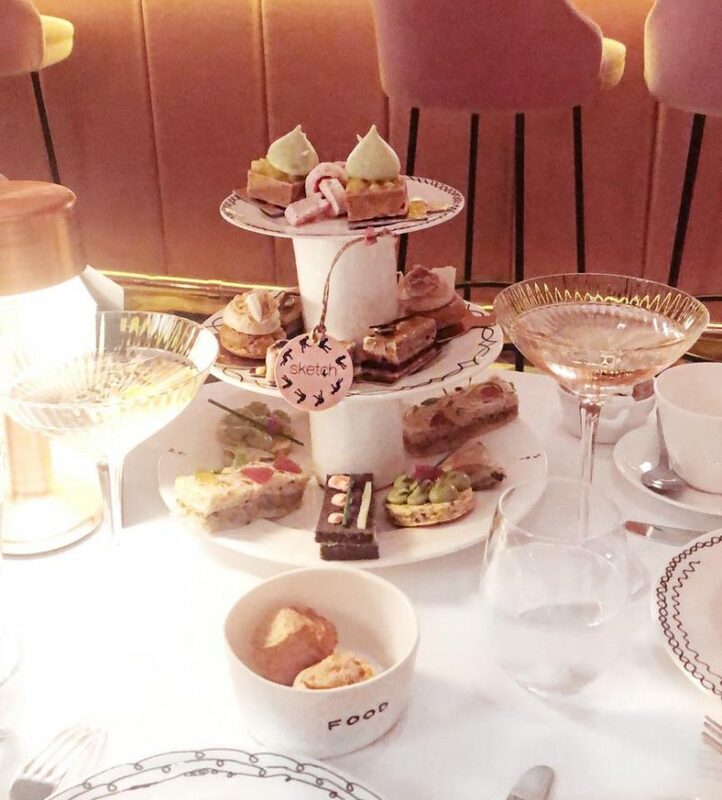 All of the food was refillable on request and so, although the prices are eye-watering (£73 per person for the champagne afternoon tea, £59 for just the tea option), you don’t need to worry about going hungry on dinky sandwiches. Of course, no trip to Sketch would be complete without a visit to the famous Sketch toilets. 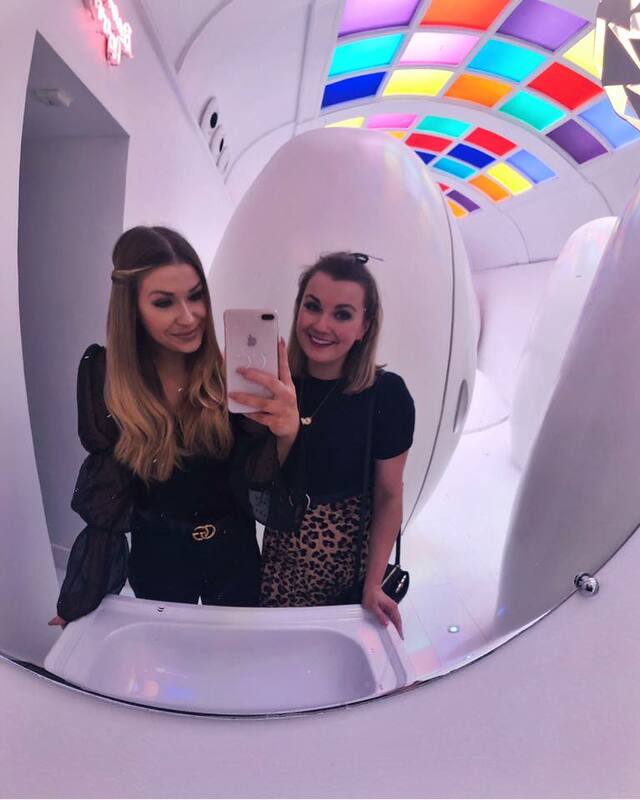 Blindingly white, the room has a multi-coloured disco kind of ceiling (think of light-up dance floors in cheesy clubs like Flares) and giant eggs that are actually the toilet cubicles. Oh, and the cleaners are dressed a French maids, and are only slightly creepy. 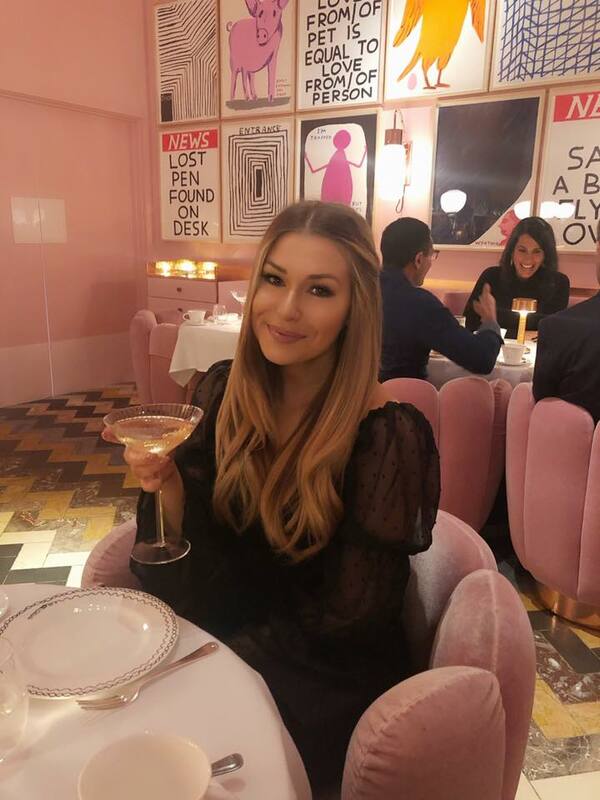 Overall we both loved the whole experience of afternoon tea at Sketch, and I definitely recommend experiencing it at least once if you can. Yes it’s all a bit ridiculous and a lot of people in there are on their phones trying to get the Sketch shot, but it’s definitely not a case of style over substance. 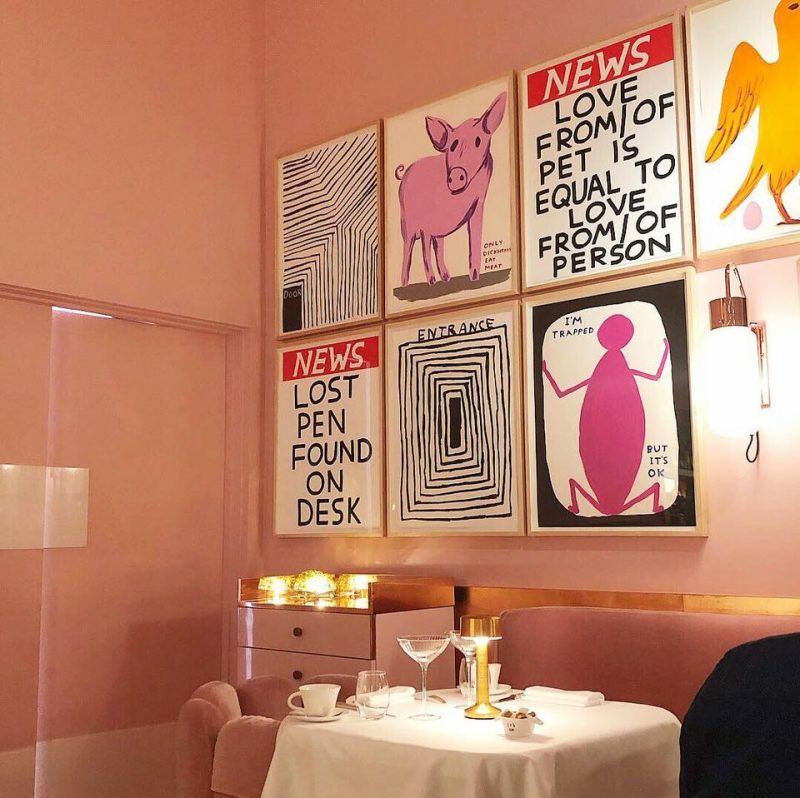 The food, service and surrounding are all ahh-mazing, and a total treat if you’re into the slightly weird and wonderful artsy side of dining. Have you ever been to Sketch, or would you like to go? I found it incredibly strange when I went there, but I did have a good time!